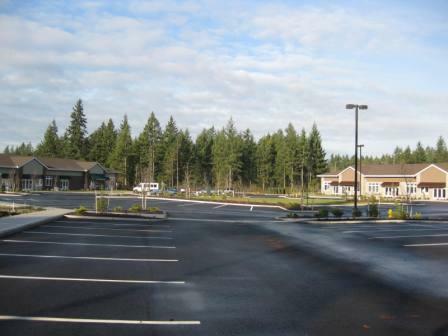 Services: This four building office complex sits on 6 acres of land in Lacey. Our services included design of final site layout, grading, drainage, erosion control, sewer, water and street connection. Duncanson Company also provided the construction surveying for site construction. Upon completion of the first two buildings, we prepared a Binding Site Plan for the individual building pads.